Tata Motors has a slew of new offerings that will be coming at us in the next eight weeks. The first among them was the Tata Tiago NRG (short for 'energy') which was launched today. “We’re on our growth trajectory,” said Guenter Butschek, CEO & MD, Tata Motors. “Tata Motors has shown robust growth and the acceptance of the brand has improved in the market,” said Mayank Pareek, President – Passenger Vehicle Business Unit, Tata Motors. “Tiago, played a critical role, since it was Tiago that redefined our design philosophy,” he said. Rightfully so, because today, the Tiago is only in its third year and already there are more than 1.7 lakh Tiagos on the road. 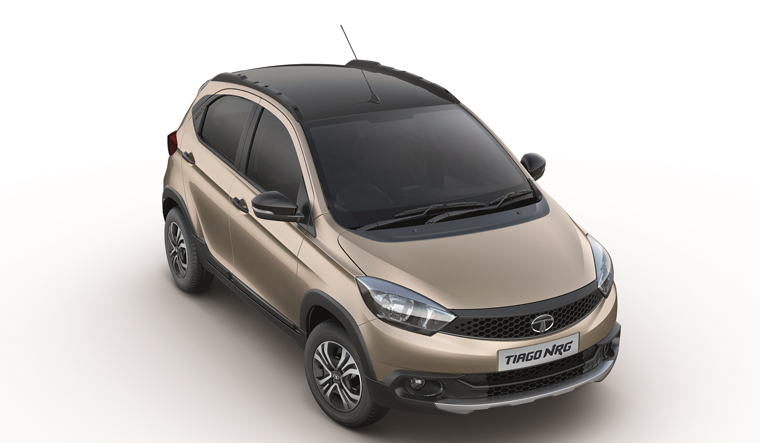 The newly launched Tata Tiago NRG is powered by the 1.2-litre Revotron petrol engine and the 1.05-liter Revotorq diesel engine. With the Tiago NRG it is all about “pushing the envelope further. We wanted to do something more exciting, something more refreshing. 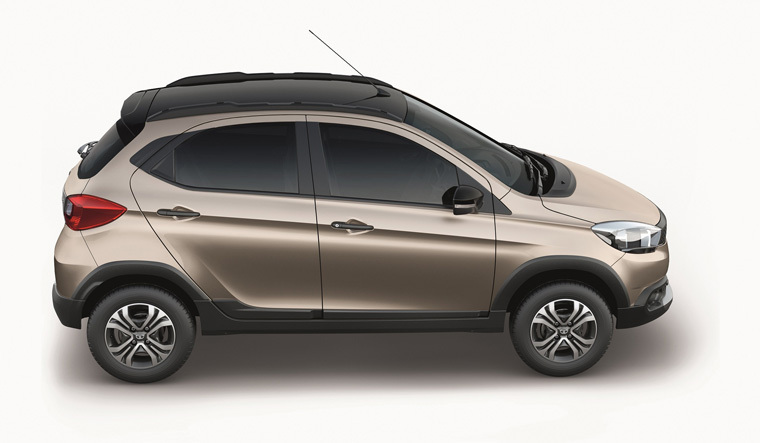 The Tiago is for those customers for whose personalities are defined by mobility,” said Pareek. “The Tata Tiago NRG is all about energy to do more,” explained Vivek B. Srivatsa, head – marketing, passenger vehicle business unit, Tata Motors. With its all-around armoured design and active black interior theme, a first-in-class 12.7 cms touchscreen and 8 speakers powered by Harman, it is a small car that gives people the feeling of being seated high, thanks to the increased ground clearance of 180mm. With all of this going for it, it sure looks like Tata Motors has another winner in their hands. “This launch is a step towards our Turnaround 2.0 journey, as we continue to focus on ‘winning sustainably’ in the PV [passenger vehicles] business. We are confident that our customers will appreciate the Tiago NRG just like the Tiago hatchback,” said Butschek. The Tiago NRG will be available in three exciting colours malabar silver, canyon orange and fuji white, priced at Rs 5,53,995 for petrol and Rs 6,31,995 for diesel (Mumbai), and along with safety features such as dual airbags and ABS that come as standard. The Tata Tiago NRG should definitely attract a lot of not just young but also “a whole new set of customers”, says Pareek.